25% off all 15mm Byzantine Codes! Its not fair to let the 15mm Renaissance period wargamers have all the fun so we have decided to offer you all 25% yes twenty five percent off all of the codes in the Isarus dark age and ancients range which are in the Byzantine Empire. 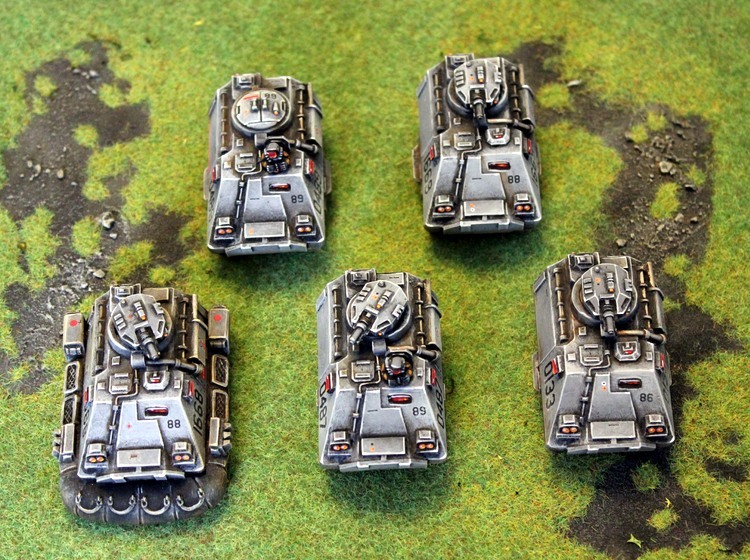 Suitable for any wargame army in this period. Eighteen different codes covering Infantry, Cavalry and Command. Go HERE. The discounts last until the end of the month of April 2016. 25% off 25 Altuos 15mm Renaissance Codes! Free Worldwide Shipping on all Orders over 10.00GBP product value until 18th April. 15mm.co.uk has a large selection of classic 15mm historical ranges for wargamers to choose from. We don't often mention them much so we decided to offer you 25% yes twenty five percent off twenty five codes in the Altuos range this time taken entirely from the infantry of the 16th century. Suitable for any wargame system set in this period. Go HERE. HOT103 Cockatrice 15mm Fantasy Monster released! Free Shipping until 18th April 2016. 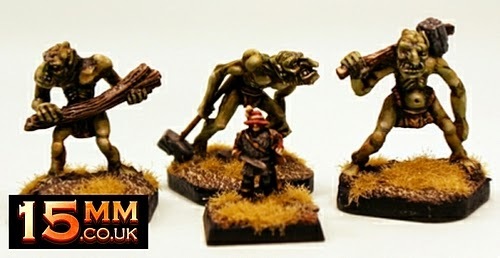 Now released into the HOT 15mm Fantasy Range our latest new code. 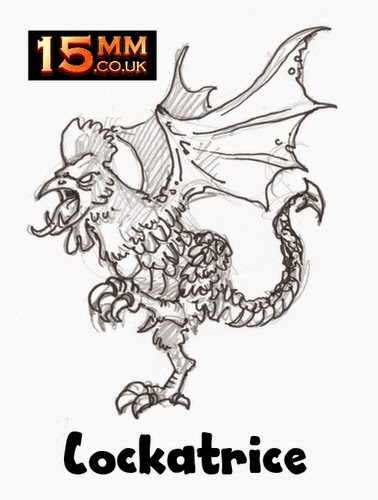 Designed by Sam Croes this monster was requested in the Monster Survey and follows on from our Ghoul Dragon and new Ogres and Trolls. Go HERE or read on for details. 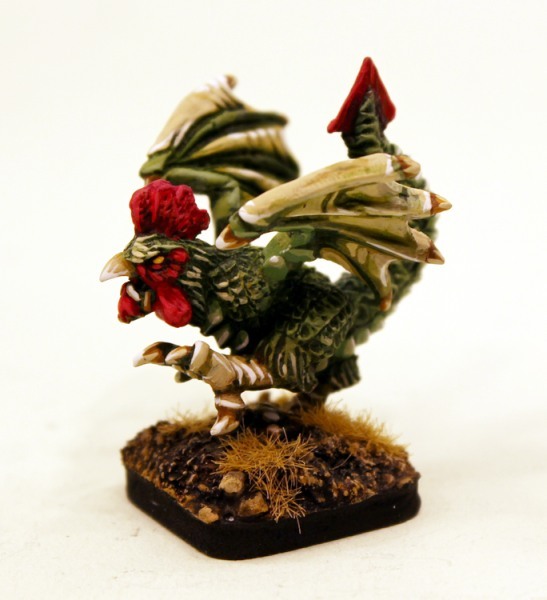 Below you can see a scale picture showing the Cockatrice with a Human Warrior (from the Tabletop Fantasy Range) 15mm tall on one side and HOT3F Ogre (20mm tall) on the other. There are over one hundred different codes in the HOT Range covering Humans, Elves, Dwarves, Undead, Dogmen, Dragonmen, Lizardmen as well as cavalry, command sets, artillery, monsters and behemoths too. No matter what your choice of rules system if it is 15mm fantasy wargaming we have something for you! Go HERE. 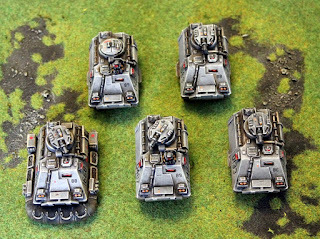 Three New MkII HOF28 Charger 15mm vehicle variants released! We are proud to present in conjunction with the new Maginot Defence Turret the release of three MkII Charger Armoured Personnel Carriers (APC) in 15mm scale. Three different means of propulsion and two primary configurations see you able to choose Wheeled, Tracked or Hover along with a gun turret or APC hatch with crewman out of crew hatch or crew hatch closed with each one. All in resin spun up just for you designed by Sam Croes. Go HERE or read on for details. 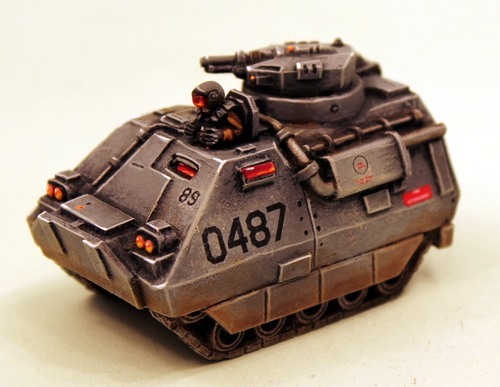 This pack contains the resin parts to assemble one 15mm scale six wheeled Charger vehicle kit as an APC or turreted APC variant hatch open or closed. The Charger is the workhorse military and police transporter of the Human Colonies and Security Force Alpha. Designed as a feature of the Human Colonial Army template in Alien Squad Leader 2.0 it is equally at home in any near future or such game system. Parts are: Charger Hull, Charger Wheel Unit, Options Sprue (APC Top, Turret Top, Hatch SFA Crewman, Closed Crew Hatch). Approx 60mm long, 30mm wide and 35mm tall when assembled. Very easy to assemble and great value. Make yours a military vehicle or law vehicle or an infantry fighting vehicle. The Charger is part of Security Force Alpha (SFA) in the HOF Range. From battles to peace keeping or law enforcement roles it suits them all. Choose from a pack or three packs (saving 10% automatically on the price) supplied unpainted and without bases. Mono image shows parts. Image with SFA Trooper etc is for scale only and not supplied. 6.00GBP. 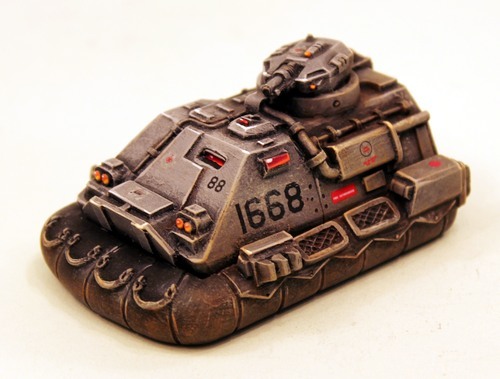 This pack contains the resin parts to assemble one 15mm scale hover Charger vehicle kit as an APC or turreted APC variant hatch open or closed. The Charger is the workhorse military and police transporter of the Human Colonies and Security Force Alpha. Designed as a feature of the Human Colonial Army template in Alien Squad Leader 2.0 it is equally at home in any near future or such game system. Parts are: Charger Hull, Charger Hover Unit, Options Sprue (APC Top, Turret Top, Hatch SFA Crewman, Closed Crew Hatch). Approx 65mm long, 40mm wide and 30mm tall when assembled. Very easy to assemble and great value. Make yours a military vehicle or law vehicle or an infantry fighting vehicle. The Charger is part of Security Force Alpha (SFA) in the HOF Range. From battles to peace keeping or law enforcement roles it suits them all. Choose from a pack or three packs (saving 10% automatically on the price) supplied unpainted and without bases. Mono image shows parts. Image with SFA Trooper etc is for scale only and not supplied. 6.00GBP. 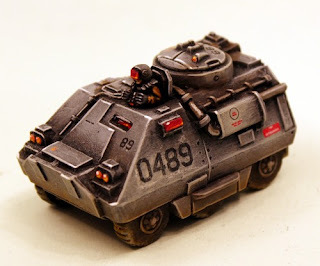 This pack contains the resin parts to assemble one 15mm scale twin tracked Charger vehicle kit as an APC or turreted APC variant hatch open or closed. The Charger is the workhorse military and police transporter of the Human Colonies and Security Force Alpha. Designed as a feature of the Human Colonial Army template in Alien Squad Leader 2.0 it is equally at home in any near future or such game system. 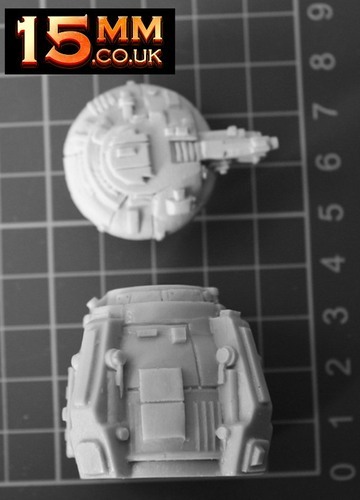 Parts are: Charger Hull, Charger Tracked Unit, Options Sprue (APC Top, Turret Top, Hatch SFA Crewman, Closed Crew Hatch). Approx 60mm long, 30mm wide and 35mm tall when assembled. Very easy to assemble and great value. Make yours a military vehicle or law vehicle or an infantry fighting vehicle. The Charger is part of Security Force Alpha (SFA) in the HOF Range. From battles to peace keeping or law enforcement roles it suits them all. 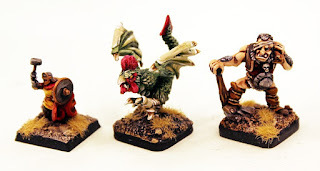 Choose from a pack or three packs (saving 10% automatically on the price) supplied unpainted and without bases. Mono image shows parts. Image with SFA Trooper etc is for scale only and not supplied. 6.00GBP. 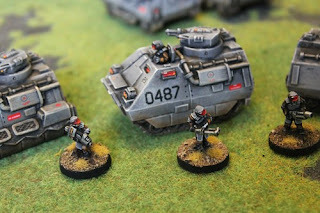 If you like the Charger and see it as a generic use APC or IFV for your modern, near future or science fiction forces then enjoy these additional pictures alongside SFA miniatures in use on table. 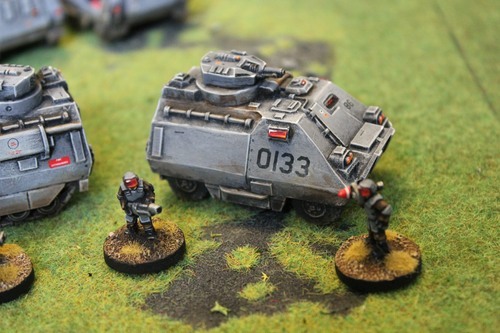 The SFA range contains a huge variety of generic poses of 15mm white metal miniatures and vehicles allowing a wargamer to assemble a cohesive force for their campaigns. A whole integrated range within HOF which contains vehicles, tower, infantry, command, scouts, elites, female and more! Go HERE. 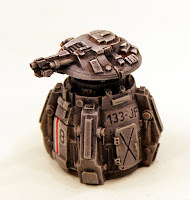 New MkII HOF27 Maginot Defence Turret 15mm kit released! 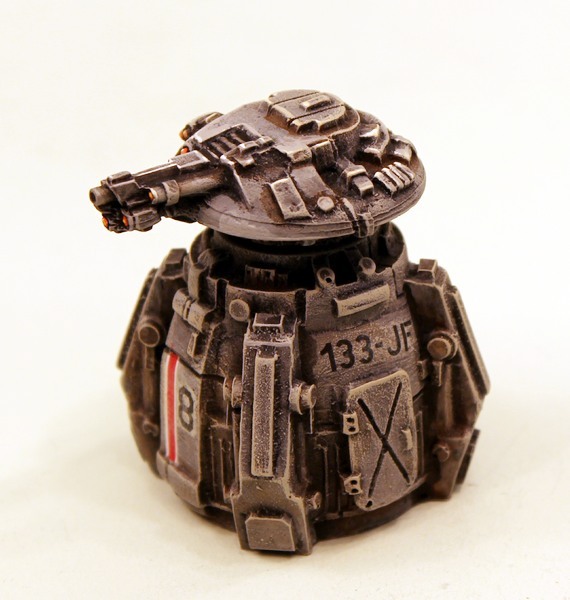 This brand new MkII pack contains the resin pieces to assemble one 15mm scale Maginot Defence Turret. The Maginot is a stationary structure that acts as a strong point for your forces in play. Designed as a feature of the Human Colonial Army template in Alien Squad Leader 2.0 it is equally at home in any near future or such game system. Parts are: Turret Main Body, Turret Ring and Top (rotatable in mount when assembled). Easy to assemble from two parts. 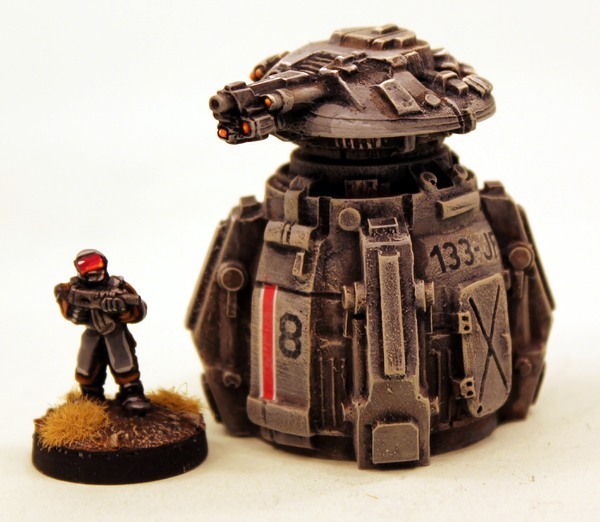 Approx 45mm tall and 30mm across when assembled. Its great value at 5.00GBP. Go HERE. The Maginot is part of Security Force Alpha (SFA) in the HOF Range. From battles to peace keeping or law enforcement roles it suits them all. Choose from a pack or three packs (saving 10% automatically on the price) supplied unpainted and without bases. Mono image shows parts. Image with SFA Trooper is for scale only and miniature not supplied. The SFA range contains a huge variety of poses of 15mm white metal miniatures and vehicles allowing a wargamer to assemble a cohesive force for their campaigns. A whole integrated range within HOF which contains vehicles, tower, infantry, command, scouts, elites, female and more! Go HERE. 15mm.co.uk has begun its Salute Season. While we will not be attending the show in London you will not miss out! For two weeks from now until the end of the 18th April 2016 (we will end about 9am GMT on 19th April) we are offering FREE WORLDWIDE SHIPPING on all orders anywhere (no limit per customer) on orders over 10.00GBP product value. This applies to all of our ranges, all of our books, miniatures and anything else we sell. Just add items to your cart and proceed to checkout and the website will automatically do the rest. Go HERE and explore. An Offer on 25 Selected Single Figure and Pack Codes = 25% off normal price! An Offer on the Byzantine Empire = 25% off all the Codes for Byzantines! 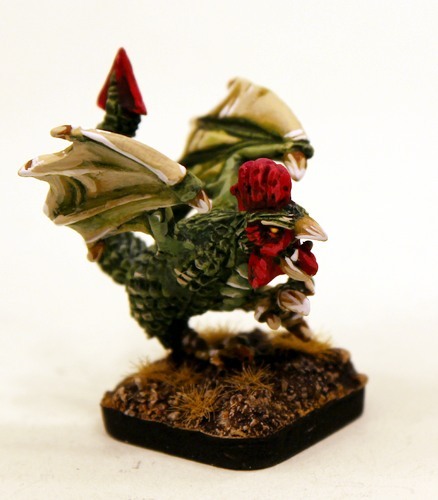 We have a tremendous range of miniatures to offer you. 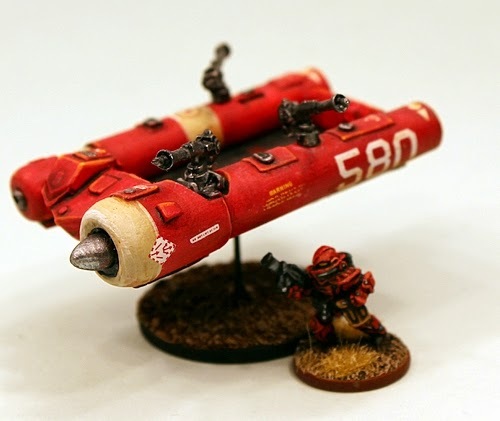 If you are a wargamer who likes Science Fiction then we can offer you Laserburn, Loud Ninja Games, HOF 15mm Science Fiction, Asgard, USEME, Alien Squad Leader as well as SHM 15mm Science Fiction, Star Vikings. We also have 6mm Science Fiction and Fleet Scale Mecha. 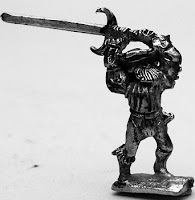 If you are a fantasy wargamer we have HOT 15mm Fantasy, HOTT 24AP Armies, HOB 15mm Fantasy Buildings, Tabletop Classic Fantasy, Sengoku Japanese Fantasy and USEME. 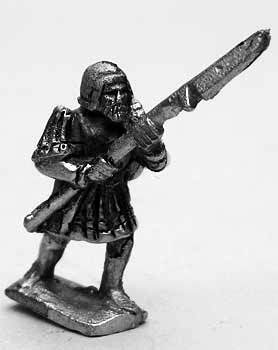 Historical 15mm wargamers will find Brickdust Napoleonics, Isarus Dark Age, Medus Medieval, Altuos Renaissance (including the Da Vinci Tank! ), Potomac American Civil War and Pony Wars Wild West and USEME. 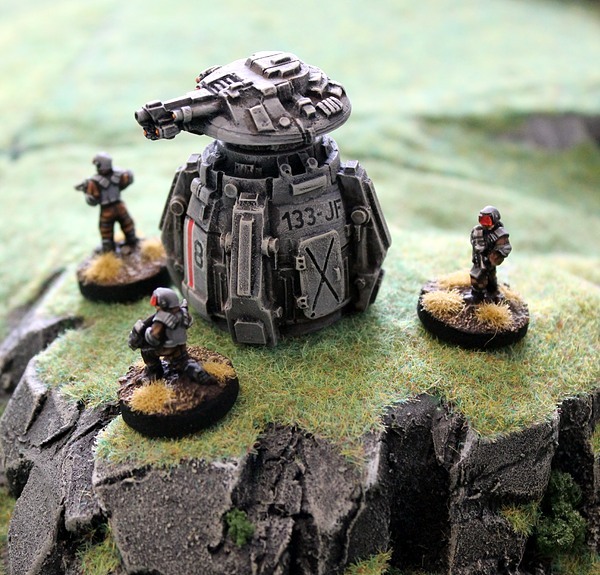 We also have a range of Bases, a range of Terrain and Accessories and the range of Ganesha Games printed rule books. Lastly we have our Deals and Offers page where there are bundles, reductions, end of lines and more all reduced from list price and our free postage offer applies to EVERYTHING! Thousands of miniatures to choose from. Just go to our website and then browse using the top menu to choose your range to view. 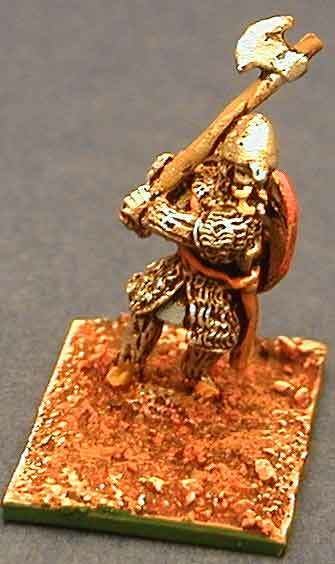 So if you like Flintloque, High Fantasy, Ganesha Games and other 28mm scale ranges check out Alternative Armies. If you like 15mm scale including HOT Fantasy, TTF Fantasy, HOF Science Fiction, Laserburn, Altuos Renaissance, Pony Wars and ACW, Isarus Dark Age, Medus Medieval along with 6mm sci-fi and a lot more go to 15mm.co.uk. Our three websites are having a free postage event. If you place an order for more then ten pounds (10.00GBP) the shopping cart will automatically give you free shipping worldwide. 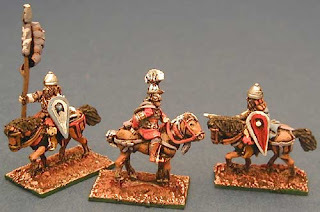 As many orders as you like across one, two or all three of our websites at www.alternative-armies.com, www.15mm.co.uk and www.theionage.com. While the vast majority of customers are happy to place orders in this way we know that some of you would like to place a combined order by email and receive a paypal invoice to pay. This is totally fine with us and here is what to do for a combined order by email. Firstly choose your point of contact. 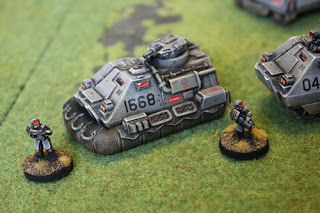 Is it Alternative Armies, 15mm.co.uk or The Ion Age? Choose one and email us on sales@alternative-armies.com, sales@15mm.co.uk or info@theionage.com. Make your email title 'combined order' and give us your name, your shipping address, your paypal email address and a list of codes and quantities that you want to order from across our ranges. We will then reply with a total and a paypal invoice. You will get a free monthly miniature if you have Ion Age codes and you will get any other items offered free if applicable from the other websites if you have codes from its ranges in your order. We typically reply quickly but be assured you WILL NOT miss the free postage on your combined order as we will honour it as long as your email comes in before the offer ends. Speak to you soon.